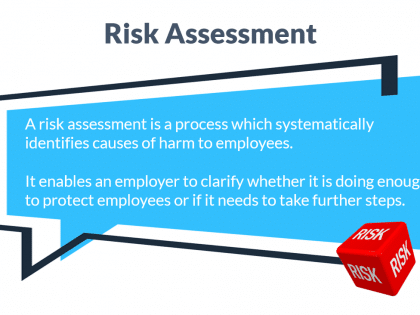 Employers have a responsibility to identify sensible measures to control risks in the workplace and one of the key risks to an employees health is stress, which means that the importance of carrying out stress risk assessments should not be overlooked. 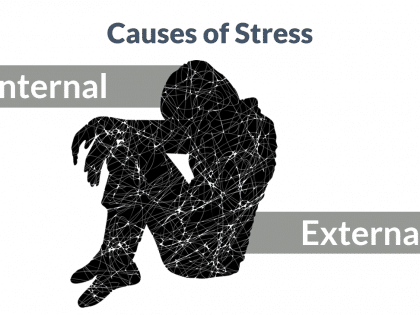 Organisations that implement an effective strategy to deal with stress and the things that affect it will note that the benefits are considerable. 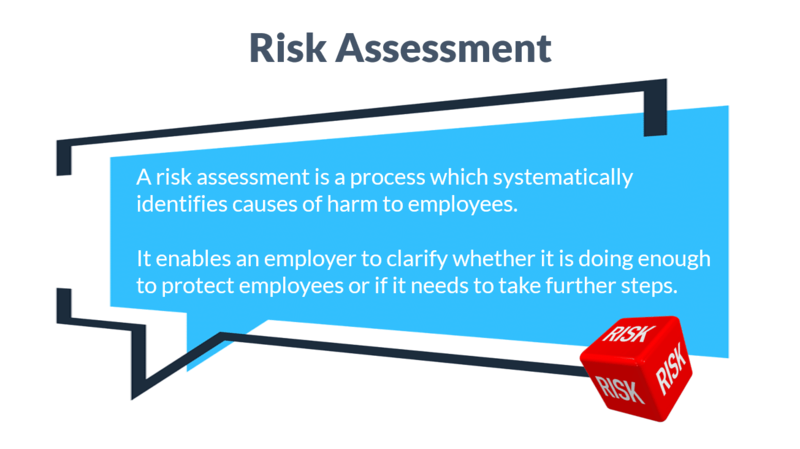 These ‘Stress Risk Assessments’ training course materials are suitable for, team leaders, supervisors, managers, HR professionals and anyone else involved in the management of people or organisations. 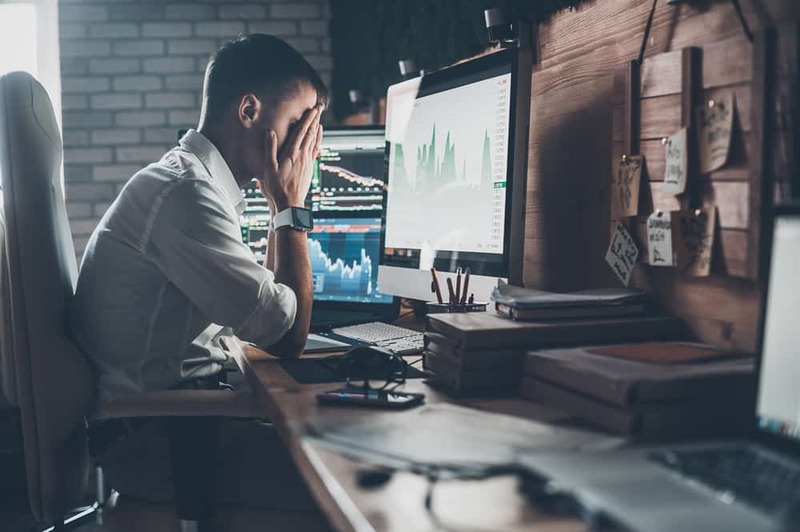 Employers are becoming increasingly concerned about the issue of work-related stress and the effect it can have on organisational performance. 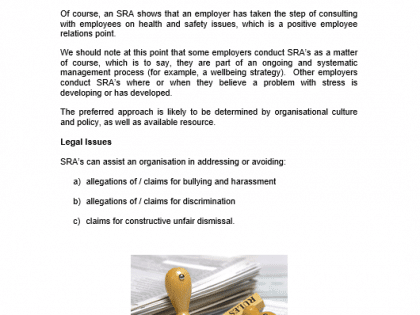 Further, the potential costs of absence and employment tribunal claims have brought into sharp focus the need for companies to be more proactive in their management of stress as a real and present work place issue. 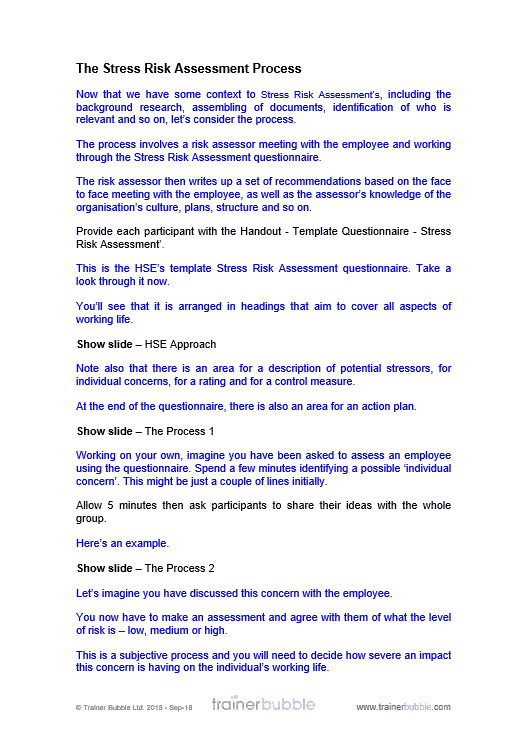 A stress risk assessment is a process which enables employers to begin to tackle stress at work. 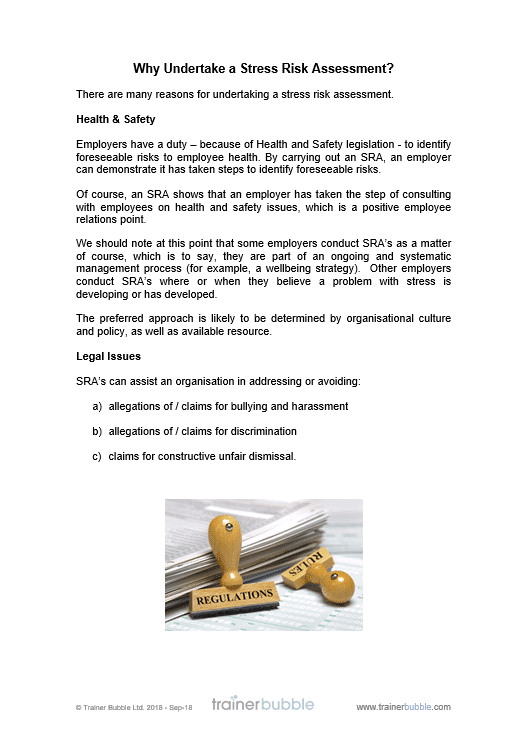 Ideally, it is just one part of an employer’s stress management strategy – perhaps as part of a broader well-being plan – but by using these training course materials, you will be able to show your participants how to use SRA’s even without this underpinning strategy. 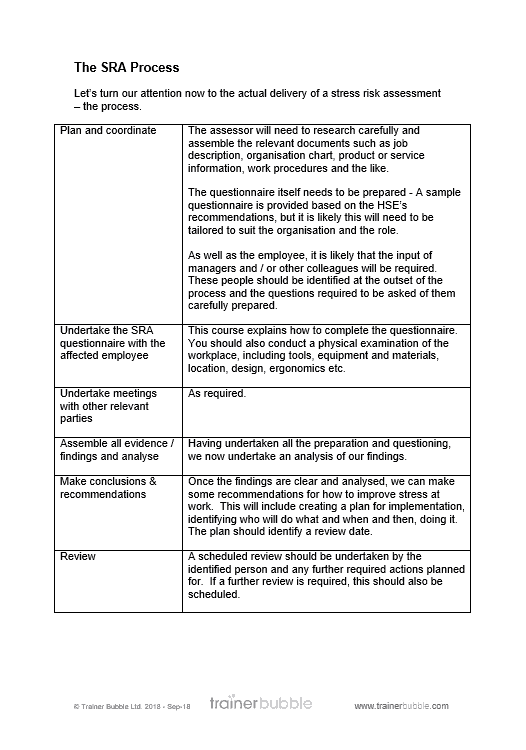 In these stress risk assessment training course materials, your participants will identify stress, understand how it can be risk assessed and then, what recommendations might be used to reduce its effects. 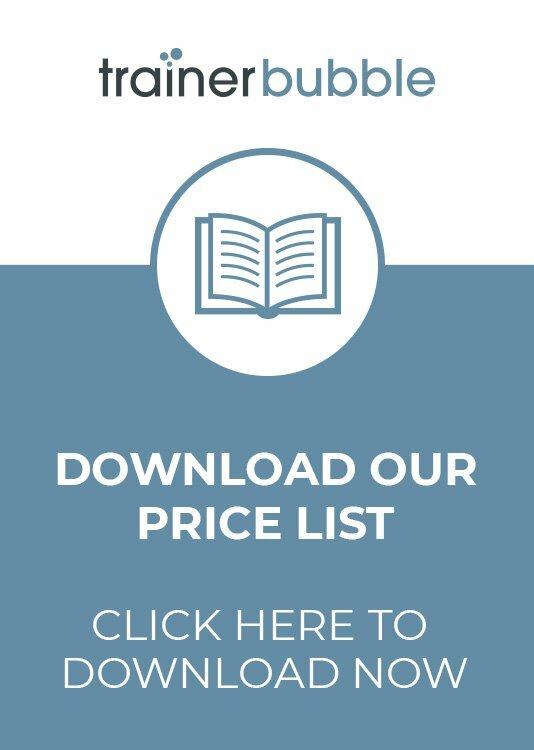 Using exercises, activities and sample documents, the course gives compelling reasons for an employer to undertake this relatively inexpensive yet effective process. 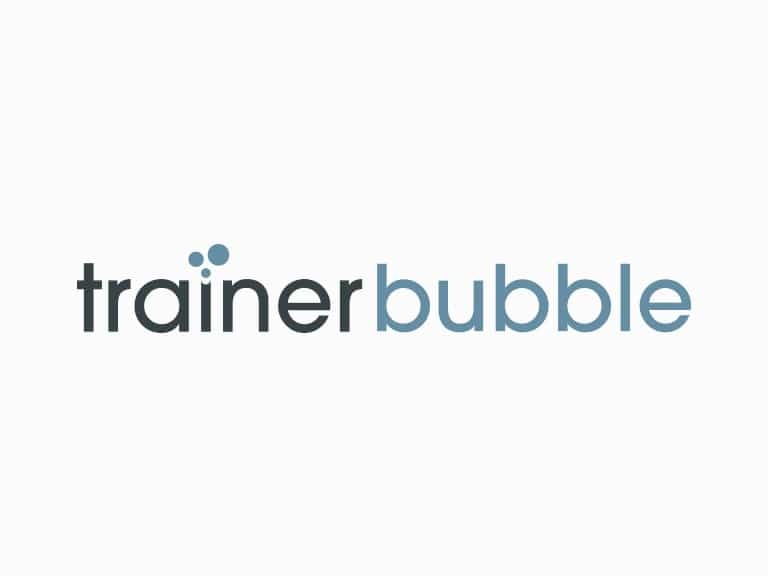 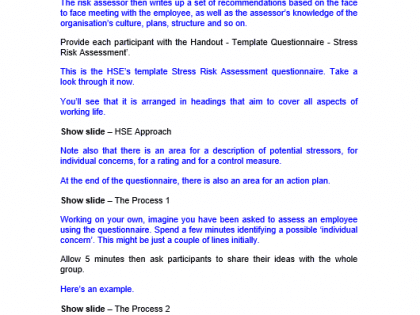 Participants will take away a model stress risk assessment questionnaire as well as a range of practical hints and information to enable them to carry out a stress risk assessment back at work. 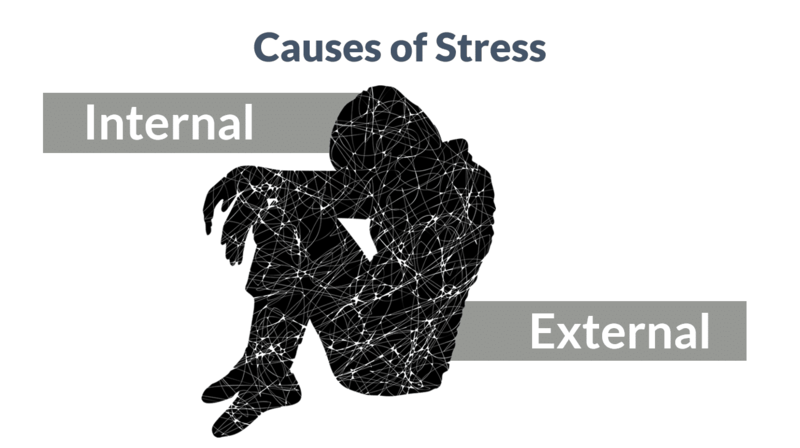 Understanding Stress Risk Assessments – Establishing what a stress risk assessment is and how it helps address workplace stress. 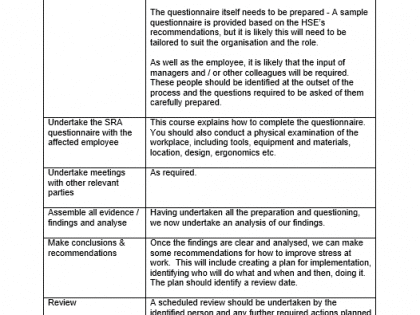 Review – Completing the picture, we discuss in this final section the need for review so as to understand the effect of any recommendations made in the SRA report.